Matt Golombek’s job is one that could only exist at a place that regularly lands spacecraft on Mars. And for more than 20 years, the self-proclaimed “landing-site dude” and his rotating cast of interns at NASA’s Jet Propulsion Laboratory have helped select seven of the agency’s landing sites on the Red Planet. Golombek got his start in the Mars landing-site business as the project scientist for the first rover mission to the Red Planet in 1997. 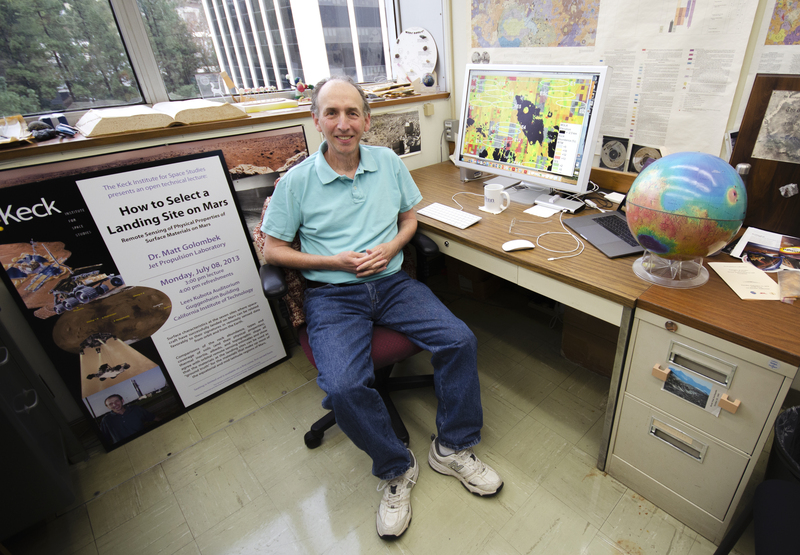 Since that time, he has enlisted the help of geology students to make the maps that tell engineers, scientists, stakeholders and now even the rovers and landers themselves where – and where not – to land. Among the list of no-gos can be rock fields, craters, cliffs, “inescapable hazards” and anything else that might impede an otherwise healthy landing or drive on Mars. For Golombek’s interns, the goal of helping safely land a spacecraft on Mars is as awe-inspiring as it comes, but the awe can sometimes be forgotten in the day-to-day work of counting rocks and merging multitudes of maps, especially when a landing is scheduled for well after their internships are over. But with the landing site for NASA’s next Mars rover just announced and the careful work of deciding where to lay down science instruments for the freshly landed InSight mission soon to begin, interns Lauren Berger, Rachel Hausmann and Heather Lethcoe are well aware of the significance of their work – the most important of which lies just ahead. Selecting a landing site on Mars requires a careful balancing act between engineering capabilities and science goals. It’s a partnership that for Golombek, a geologist, has evolved over the years. Golombek reflects on the time before spacecraft like the now-critical Mars Reconnaissance Orbiter provided high-resolution, global views of the Martian terrain. In those early days, without close-up images of the surface, the science was largely guesswork, using similar terrain on Earth to get a sense for what the team might be up against. Spacecraft would successfully touch down, but engineers would look aghast at images sent back of vast rock fields punctuated by sharp boulders that could easily destroy a lander speeding to the surface from space. NASA’s 1997 Pathfinder spacecraft, encased in airbags for landing, bounced as high as a 10-story building before rolling to a stop at its jagged outpost. Now, Golombek and his interns take a decidedly more technological approach, feeding images of candidate landing sites into a machine-learning program designed to measure the size of rocks based on the shadows they cast and carefully combining a series of images, maps and other data using Geographical Information Systems, or GIS, software (a required skill for Golombek’s interns). Still, there are some things that must be done by hand – or eye, as the case may be. “Or, as we like to say, death, part death and no death,” jokes Berger. “We work with them to train them so their eye can see it. And so far, that’s the best way to [identify such hazards]. We don’t have any automated way to do that,” says Golombek. Now, with an official landing site announced, it might seem that Golombek’s team is out of work. But really, the work is just beginning. “We’ll be heavily involved in making the final hazard map for the [Mars 2020] landing site, which will then get handed to the engineers to code up so that the rover will make the right decisions,” says Golombek. Learn all about NASA's latest Mars mission and how to turn it into a Teachable Moment for students. 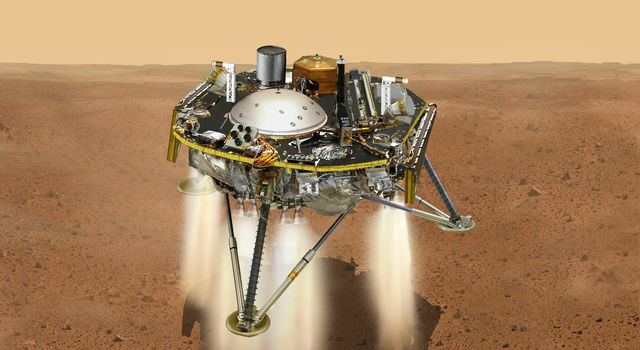 Meanwhile, the team will be busy with the outcome of another Mars landing: InSight, a spacecraft designed to study the inner workings of Mars and investigate how rocky planets, including Earth, came to be. Golombek’s third intern, Rachel Hausmann, became a master at piecing together the hundreds of images, rock maps, slope maps and other data that were used to successfully land InSight. But because InSight is a stationary spacecraft, one of the most important parts of ensuring the mission’s success will happen after it lands. The team will need to survey the landing area and determine how and where to place each of the mission’s science instruments on the surface. 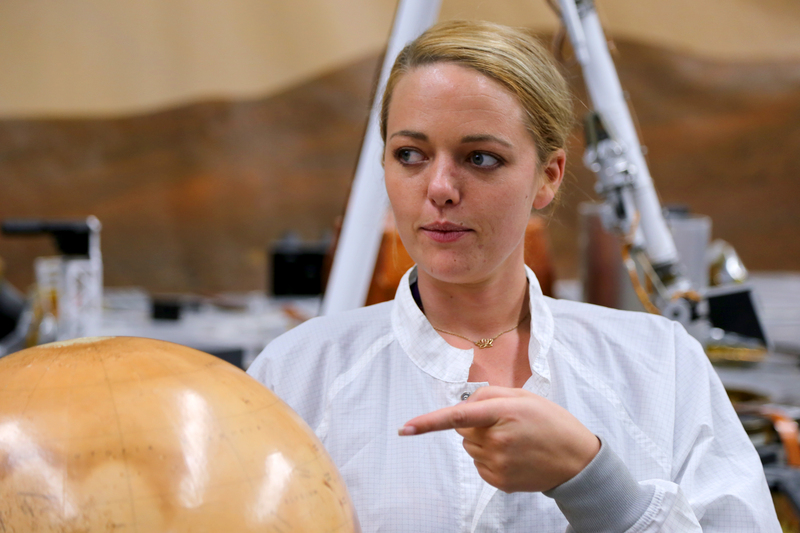 To prepare for this rare opportunity, the students have been embedded with different working groups, rehearsing the steps that will be required to place each of InSight’s instruments safely on Mars several weeks after landing. The students took part in the first of these so-called Operational Readiness Tests in early October and say it was an eye-opening experience. Lethcoe says there was also the matter of balancing homework and midterms with full-time preparations for a Mars landing. That was its own sort of readiness test for December when the real work of deploying the instruments will coincide with finals. Perhaps most surprising, say the students, was their realization that their expertise is valued by a team that’s well-versed in Mars landings. “Imposter syndrome is real,” says Hausmann. But the team’s internships are serving as the perfect antidote. More than the mapping skills and research experience they’ve picked up during their time at JPL, it’s that confidence that they’re most eager to take back to school with them and impart to other young women interested in STEM careers. Berger gave a talk about imposter syndrome at her school, Occidental College in Los Angeles, earlier this month. 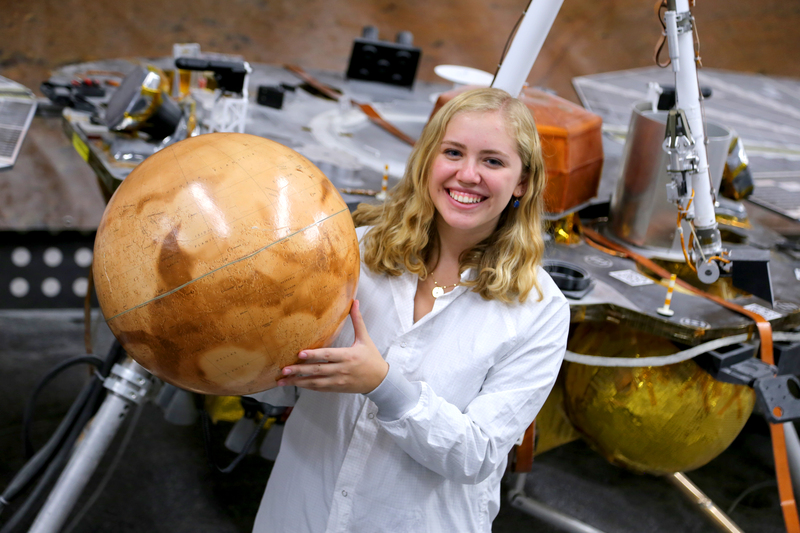 And Hausmann, a student at Oregon State University, says her efforts to encourage and coach young women are the most important contribution she’s making as a JPL intern. 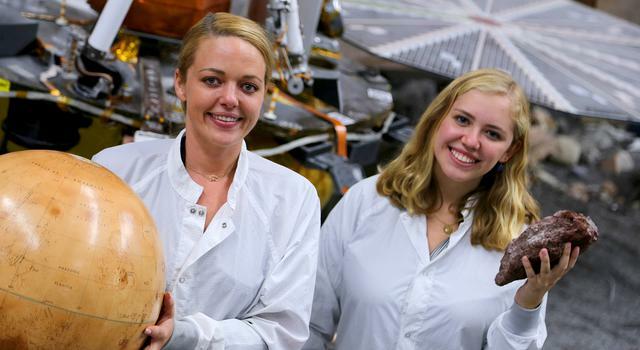 When your internship or your job is to help land spacecraft and deploy instruments on Mars, the question, “Where do we go from here?” is literal and figurative. While the next year or so will be perhaps one of the busiest Golombek’s team has ever known, his future as the landing-site dude is uncertain. 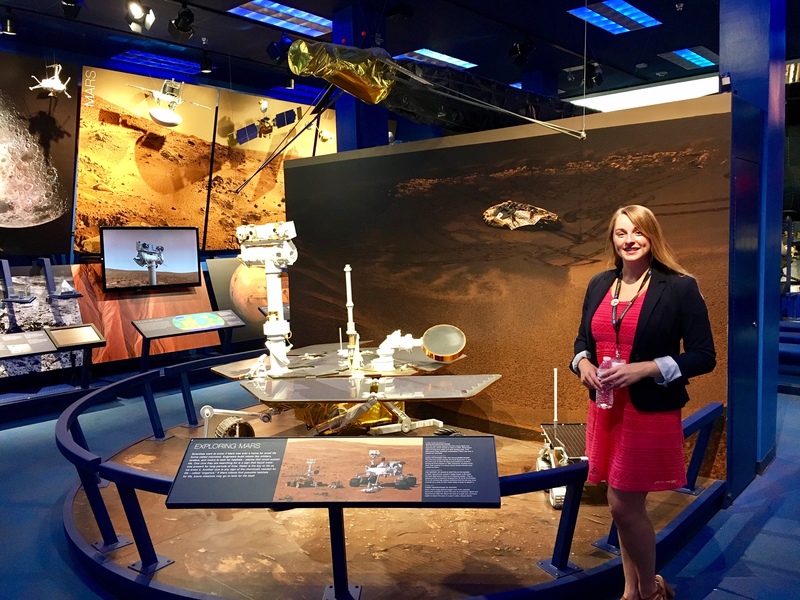 Learn about internship opportunities at NASA's Jet Propulsion Laboratory and apply today! Maybe it’s a torch best carried by his intern alums, many of whom have gone from their internships to careers at JPL or other NASA centers. While Lethcoe, Berger and Hausmann are still enmeshed in their education – Lethcoe is in her junior year, Berger is taking a gap year before applying to graduate programs, and Hausmann is applying to Ph.D. programs in January – their experiences are sure to have a profound impact on their future. In many ways, they already have. Could they be the landing-site dudes of the future? Maybe someday. 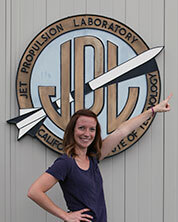 The laboratory’s STEM internship and fellowship programs are managed by the JPL Education Office. 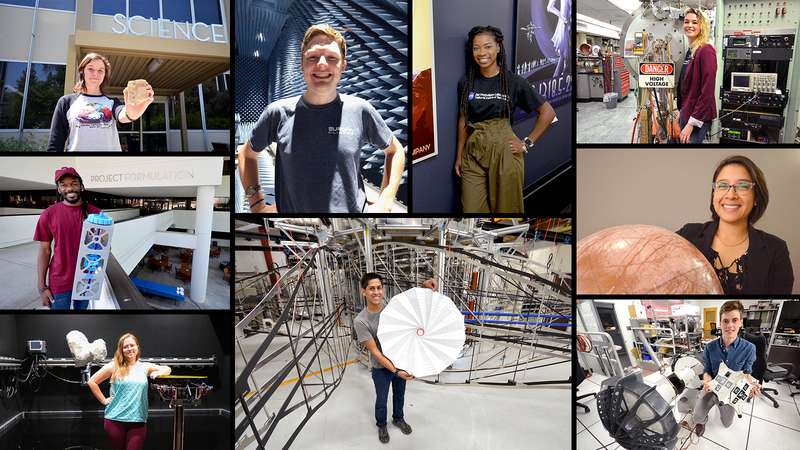 Extending the NASA Office of Education’s reach, JPL Education seeks to create the next generation of scientists, engineers, technologists and space explorers by supporting educators and bringing the excitement of NASA missions and science to learners of all ages. Kim Orr is a web and content producer for the Education Office at NASA's Jet Propulsion Laboratory. Her pastimes are laughing and going on Indiana Jones style adventures.